I'm loving the CC socks!! Everytime I get to the turquoise colors my little socky heart just skips a beat!!! To DFGs Tina and Kaci, if you are reading this (and you had better be!) Rainforest Jasper and the Cedar Creek sock pattern are awesome! Here we are climbing Mt. Finlayson in Friday Harbor, WA. And on the Ferry going home. 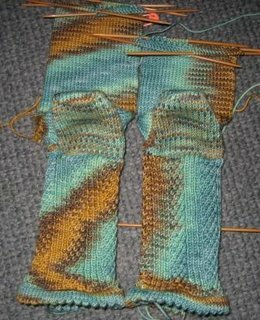 And check this out, two socks, same stitches, same knitter, same yarn, but one is knit from the outer portion of the ball of yarn, and one from the inner....who knew? 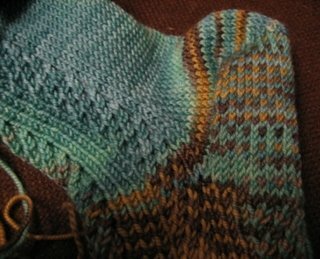 The right sock I knit mostly on the way home from FH yesterday (outside of the yarn ball) which is why she wasn't photographed in Island pics...next time! 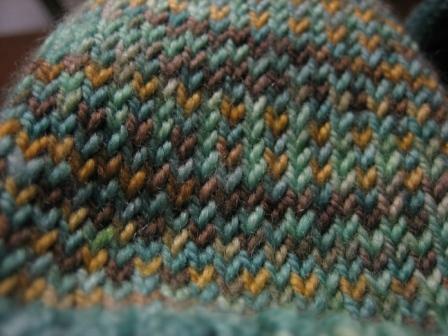 Close up of the heel flap and the heel in profile. 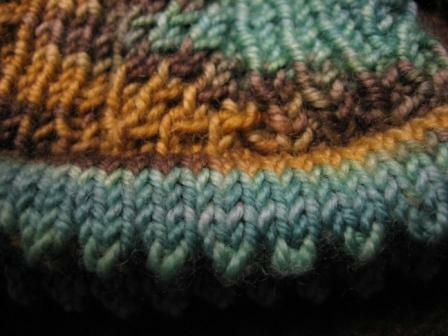 And my favorite, that too darn cute picot edge! I.LOVE.PICOT!!!! Dang, I can't wait to start my next pair of socks....can you guess what kind of edge I'm going to use??? 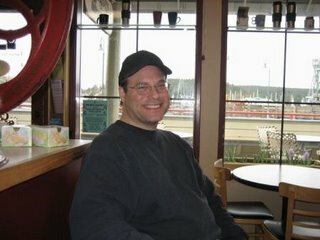 And last, but certainly not least, my own DH....Pete!! Hi Pete!!!! Oh, NK - what gorgeous socks, what a lovely vacay, what a qt-pie hubbie! 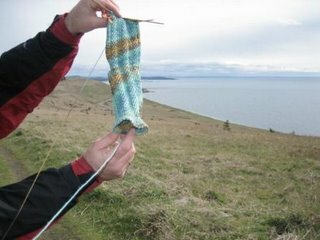 yeah, girl - you go, you knit, you travel, you ferry, you go! heart, heart, heart your socks. Can't wait to see them on your tootsies! Those socks are some-kinda-lovely! 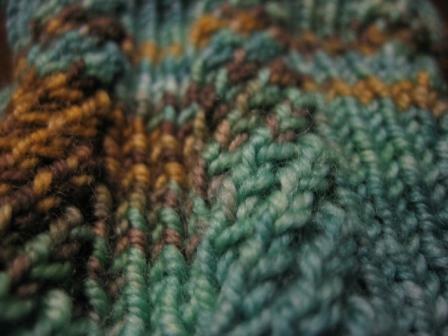 Strange about the color repeat, but varigated yarn is always a surprise. 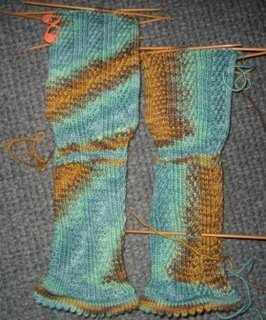 Welcome to Cirque du Socks! What size did you cast on for and what size is your foot? 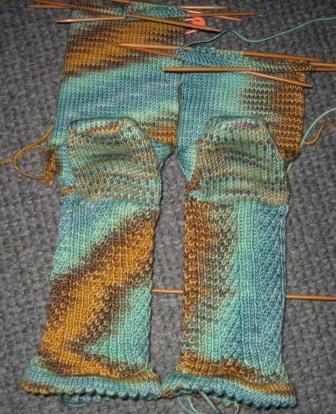 I am trying to determine whether to use the medium or the large - I wear a size 8½ US. Thanks. Great socks! I love the crazy pooling. 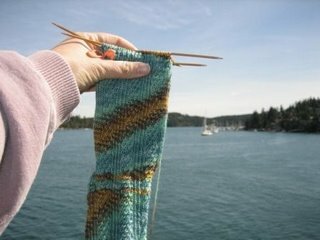 But just one quick question...shouldn't you have been knitting the Friday Harbor sock pattern from Knitting on the Road? Just kidding. Oh I'm so jealous of your trip there. I miss the San Juans.